AfriForum’s project to test water quality in South Africa is misleading the public, the department of water affairs said on Tuesday. “Such actions carry the possibility of a legal challenge and an even more dangerous potential to mislead the public about the true nature of water services regulation and performance monitoring,” department spokesman Mava Scott said. Earlier in the day, AfriForum spokesman Julius Kleynhans said the organisation had launched its own blue-and-green-drop project to test water quality in South Africa. The project would test potable and sewage water quality to ensure national standards were upheld. Mava described the initiative as opportunistic. He said the type of testing AfriForum was referring to focused only on water quality analysis, which was just a portion of the original blue-and-green-drop audit the department conducted on an annual basis. He said the department’s audits focused on the entire value chain which included: reticulation, pumping, treatment and discharge of the waste water business with regard to the treated water assessment. The blue drop, which was drinking water quality, looked at risk management from source to tap. Mava said such kind of analysis and evaluation was based on annual results and not once-off sampling which did not record any sort of trend in analysis. He said AfriForum needed permission from the minister to have access to the premises to conduct the tests. The law did not allow ordinary citizens access to water treatment facilities unless the minister granted permission in writing, Scott said. 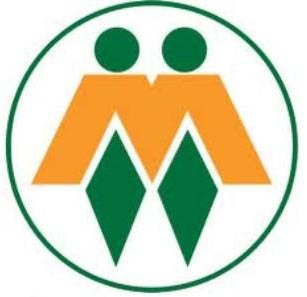 AfriForum said the project was part of an initiative to test the quality of potable and treated water in the municipalities across the country. Water samples would be tested and results would be made available on March 17. The public was invited to report water-related issues to AfriForum.